National Home Security month has drawn to an end. We believe it’s an incredibly important campaign and that it is doing a great job of raising awareness of the importance of home security. 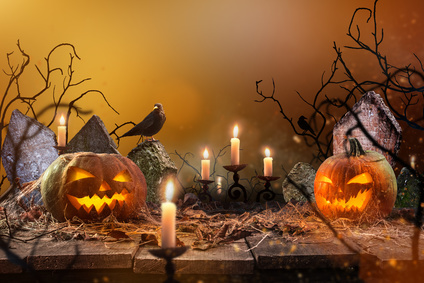 During week commencing 23rd October, the campaign focuses on shining a light on dark nights, and the week after that, the themes of Halloween and Bonfire Night take centre stage. Research reveals that as soon as the clocks go back at the end of October, burglaries spike by a massive 38 per cent. The campaign also tells us that the Halloween and Bonfire Night period is statistically the worst time of year for burglaries, with domestic damage escalating by a whopping 160 per cent. 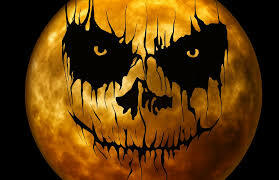 There is no doubt that Halloween has become one of the country’s biggest events, enjoyed by many each year. But not everyone is its biggest fan, and some may even feel threatened by the prospect of hordes of trick or treaters knocking at their door. If you are one of the growing numbers of people who would rather not be disturbed by the doorbell this 31st October, a great tip is to put a sign on your door politely asking trick or treaters to pass you by. You can pick up free posters from selected local police stations or download them from the internet: your local newspaper’s website will usually have them available for free so all you need to do is print one out and stick it on your door. Always remember that you are not obliged to open the door if you don’t feel safe. If Halloween makes you particularly nervous, or you know someone who is elderly or vulnerable and they will be alone, make arrangements for company during the evening. Keep your view clear: Don’t cover your windows or doors in Halloween decorations to the point where you can’t see outside. You’ll want to check who is there before you open the door, even if you are willing to entertain trick or treaters. Remember, just because the doorbell rings on 31st October, doesn’t necessarily mean there’s a group of innocent treat hunters waiting outside: it could be an opportunist looking to get a foot in the door. Shed light on the matter: Switch on your outside and hallway lights. If there is an opportunist looking to gain access, they’d rather not do so without cover of darkness. Keep the door locked: With so many groups coming and going, it could be easy to forget to properly close and lock your front door between visits. Leaving doors on latches, propped open or not locked so they can be opened from the outside without a key is inviting trouble. Secure your entryways: If you’re hosting a party at home and everyone’s in the back garden huddled round the patio heater enjoying their baked potato and hot chocolate and delighting in the firework displays, make sure the front and sides of your house are well secured. With visitors coming and going it can be easy to overlook properly locking the front door or side gate, and an open window at the front of what appears to be an empty house could provide an open invitation for an opportunistic burglar. Keep it lit: Keeping lights on, both outside and inside, at the front of the house will deter a would-be intruder. Remember: darkness provides cover. Make it look like someone’s home: If you’re off to an organised firework display (the best and only kind you really should attend), or a party at someone else’s house, be sure to lock all your doors and windows before leaving, and leave lights on both outside and inside to make it look like someone’s home. Pull your curtains to prevent inquisitive potential intruders taking a sneaky peek and be sure to secure any valuables such as jewellery or tech in a safe or locked cabinet, along with your car keys if you’re not using them.